In response to this the Pakistan foreign minister Rahman Malik was quick to ask the Indian Government to provide security to Khan. Hafiz Sayeed went to the extent of inviting Khan to Pakistan with a promise to provide him with security. Both these are sort of pinpricks which are usually dished out by the neighbors to each other. When Hindu minorities suffer in Pakistan the immediate chorus comes up here in India is to ask to take steps for security of Hindus in Pakistan. Malik and Sayeed were just trying to put some salt in to the wounds of Indian psyche, not that they are concerned about Indian Muslims as such. They belong to a country where large section of Muslims themselves is struggling to live the life of dignity. A section of Muslims is being called Mohajirs and is denied most of the privileges of citizens. In Pakistan currently the Shia Muslims and Ahmadiyas are an object of wrath. So lesser said about Rahman Malik and Hafiz Sayeed Company the better. The criticism directed against Khan was that he is giving ammunition to the elements across the border to criticize India. But can we keep the wounds of Indian Muslims under wraps, with no smell polluting the air? As far as Khan’s statement that there are biases against Indian Muslims is concerned, it is a painful reality. Muslims have been demonized; the strong streak of Islamophobia persists all over. The myths, stereotypes and biases against Indian Muslims were heightened with the partition tragedy, when the communal forces propagated that it is due to Muslims that India had to be partitioned. This is a total misreading of recent history as majority of Indian Muslims neither supported the idea of Partition nor were behind the Muslims League. Muslim League cut a sorry figure in 1937 assembly elections as majority of Indian Muslims did not vote for Jinnah party. And after the Jinnah’s resolution demanding Paksitan in 1940, majority of Indian Muslims took out processions opposing the demand of Pakistan. The other biases against Muslim community started intensifying through the propaganda by the communal forces, the biases about the Muslims related to the atrocities committed by Muslim kings, the biases related to polygamy, number of children, beef eating and their loyalty to Pakistan. The parallel process of communal violence started marginalizing them from social scene, the violence against them (Muslims are 13.4% as per 2001 census; Muslims are close to 90% amongst the riot victims). These stereotypes against Muslims are currently at peak and hatred resulting from these biases is leading to repeated communal violence and polarization. While the average Muslim has been living with these biases pasted on his/her forehead, after 9/11, ‘All terrorists are Muslims’ has also been popularized through various mechanisms, section of media, words of mouth, SMS chains through mobile phones and the social media. While in the regular channels Muslims are too few, in the offbeat channels of social life, they do excel as in sports, music and films. At the same time the Muslims, who by mistake reach the top slots in position of authority have to be more careful for obvious reasons. Here the communal parties and outfits pick up some pro-Pakistan label against Muslim celebrities. Dilip Kumar, Yusuf Khan, was initially given the same abuse of being for Pakistan and he had to face lot of music when he was awarded the highest civilian honor by the government of Pakistan, Nishan-e-Pakistan. Lot of demonstrations was held in front of his house by these outfits to humiliate him. That may be one of the reasons for him not being awarded the highest civilian honor, which he deserves many times over. Mohammad Azaruddin, the outstanding cricketing talent and ex-Indian cricket Captain was mocked that he plays poorly when playing against Pakistan, to enable Pakistan to win!. 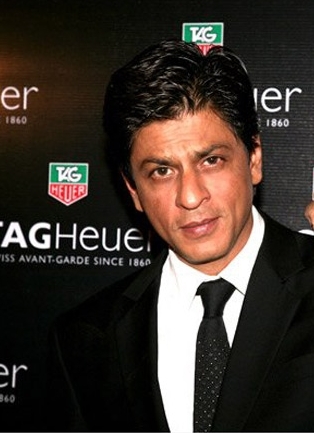 Shah Rukh Khan is another such celebrity. He had to face the double flak. Being a Khan, twice he was detained and stripped at the US entry points. Interestingly when he was detained many of his fans were approaching him for his autographs right there. In India the Shiv Sena, claiming to be a patriotic organization, holding on to Hindu Nationalism not Indian nationalism, has meted similar treatment to Shah Rukh Khan. Khan is from Peshawar and it is an enlightening point to know that his father was the follower of Khan Abdul Gaffer Khan, Frontier Gandhi, and participated in freedom struggle. Shah Rukh Khan knows he is too secure; he is not talking as a victim, it is not from the angle of victimhood. He is expressing the anguish of being a Muslim at a time when in India the anti Muslim sentiments are at a peak and these get a boost from global Islamophobia created by American propaganda. Imagine the pain of an Indian when he is looked down to be owing allegiance to the neighboring country? Only those seeped in the values of Indian freedom struggle and those respecting the values of Indian Constitution can feel the anguish of Shah Rukh Khan and many more Muslims, celebrity or not, who have to keep producing loyalty and patriotism certicates time and over again, and that too to those belonging to the politics based on the ideology, which was not a part of freedom movement and has little respect for values of Indian Constitution. In popular psyche the identification of Indian Muslims with Pakistan has been cultivated with vehemence by communal forces. Muslims are more loyal to Pakistan is a standard propaganda. How can we judge patriotism of an individual? By cheering for the cricket teams or by allegiance to Indian Constitution? The matter of fact is that some disgruntled Muslims may be showing their anguish by cheering for Pakistan, in cricket matches, but that’s where the matters rest. A lot has been made of this deliberately and this falsehood has become part of social common sense. Shah Rukh Khan has been made a deliberate target by the communal forces and it is a part of their game of manufacturing biases against Muslim community as a whole. His expression in the said article is expression of what many Muslims suffer in India, celebrities included.